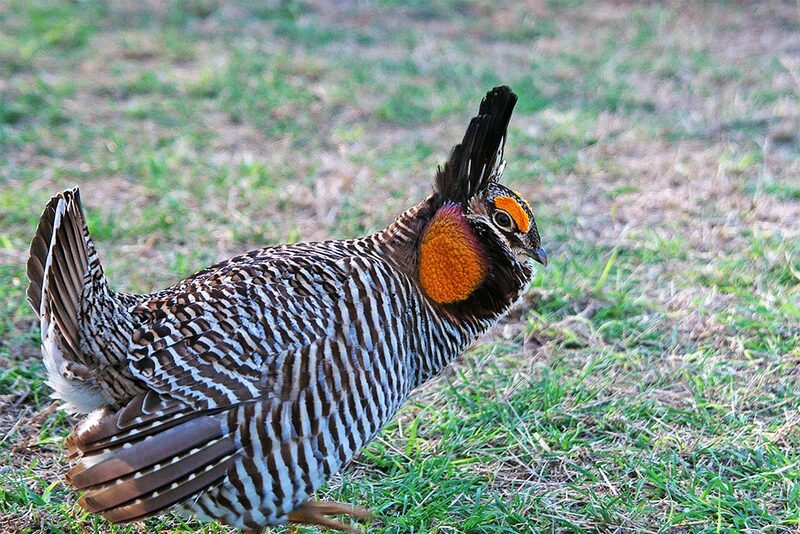 The Attwater’s prairie chicken (APC) is possibly the most endangered bird in North America. There are more whooping cranes than APCs. Only by protecting and restocking habitats with captive-bred birds can this species survive in the wild. In 1900, there were thought to be one million APCs on six million acres of coastal prairie. Mainly due to overhunting and loss of habitat, they became extinct in Louisiana in 1919. 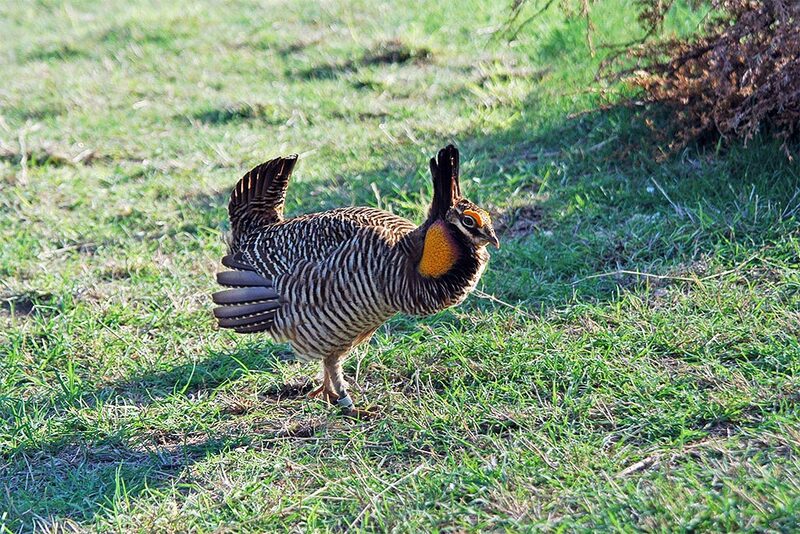 Their numbers declined rapidly in Texas, and they were listed as endangered in 1967. 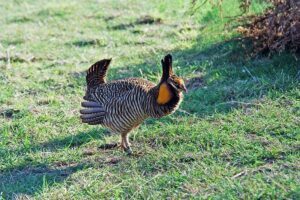 Today in Texas, there are about 100 APCs in the wild, with less than one percent of the original coastal prairie remaining. Native coastal prairie is different than regular prairie because it consists of unique grasses, such as switchgrass, Indiangrass, big bluestem, Texas grama and little bluestem. 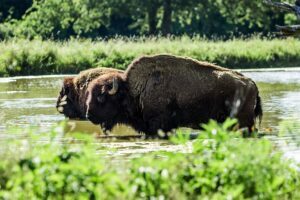 This endangered ecosystem is on the brink of being wiped off the face of the earth, as most of it has been converted to farmland. 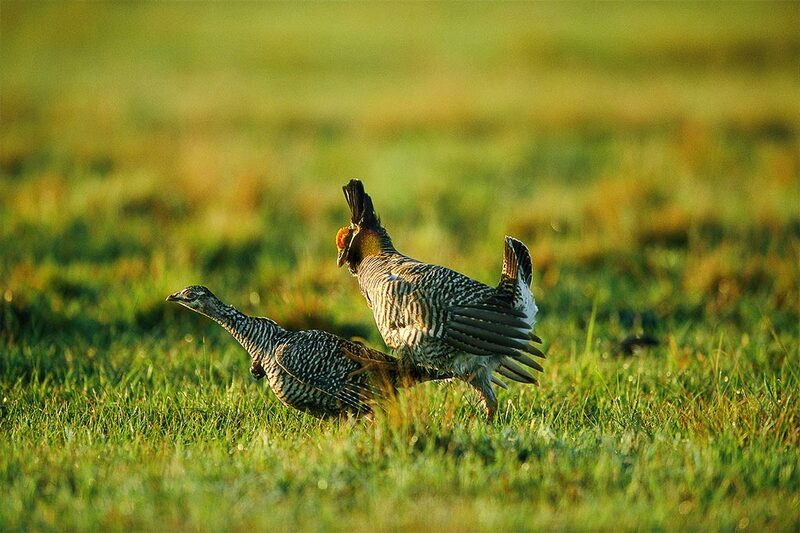 Habitat fragmentation has left some remaining prairie patches too small to be useful to the birds. This and the introduction of imported plants have created favorable conditions for many APC predators. One such plant is the McCartney Rose, an exotic species from India. This dense bush provides great habitat and protection for skunks, so they are thriving – more skunks mean fewer APCs. Another invasive organism that has proven detrimental to the recovery of the APC population is the red imported fire ant. The highly successful fire ant is having a negative impact on the insect populations – especially small insects that APC chicks require at the beginning of their lives for survival. The U.S. Fish and Wildlife Service directs the recovery program for the APC and works with Texas Parks and Wildlife, universities and several zoos in Texas in this cooperative captive program. 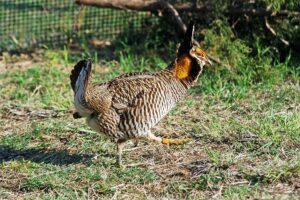 This collective effort is directed at breeding APCs to maintain a viable captive population, while at the same time providing birds for release to supplement and increase the small remaining wild population. 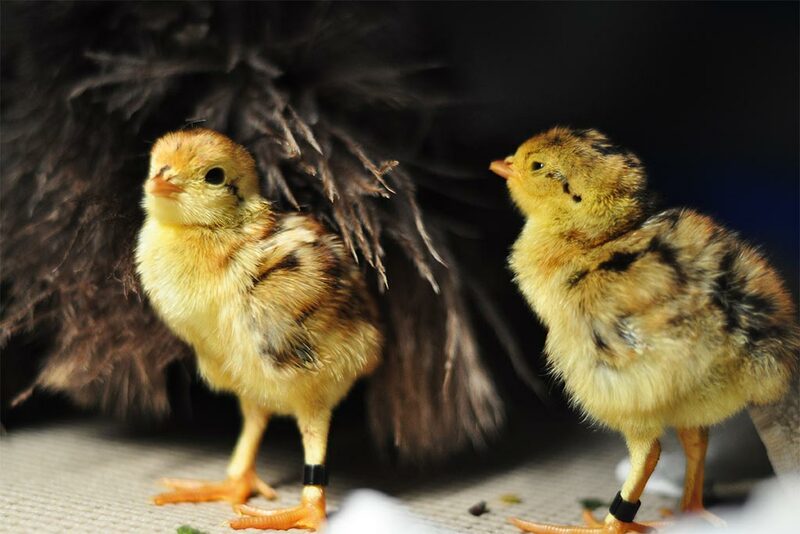 In 1992, as part of a comprehensive recovery plan for the species, Fossil Rim initiated a captive breeding program and the first chicks were born that year. This work has been crucial in preventing APC extinction. 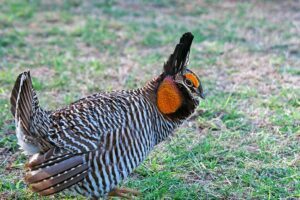 Fossil Rim houses several breeding pairs and has contributed more than half of the total APCs released into the wild since 1992. 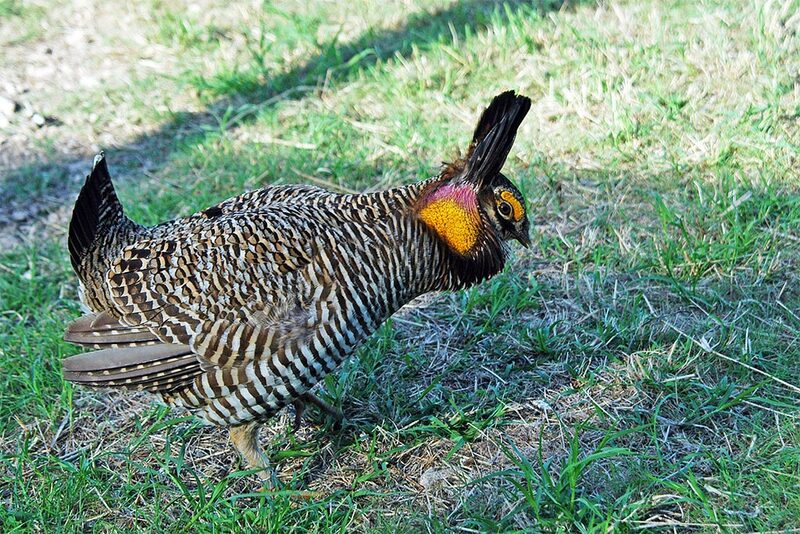 There are two parcels of land dedicated to releasing and managing wild APCs: the Attwater Prairie Chicken National Wildlife Refuge near Eagle Lake and a segment of land owned by a private rancher in Goliad County who is working with TP&W. At present, most APC releases are being concentrated on the APC refuge to hopefully establish one viable population at a time, given their limited numbers. 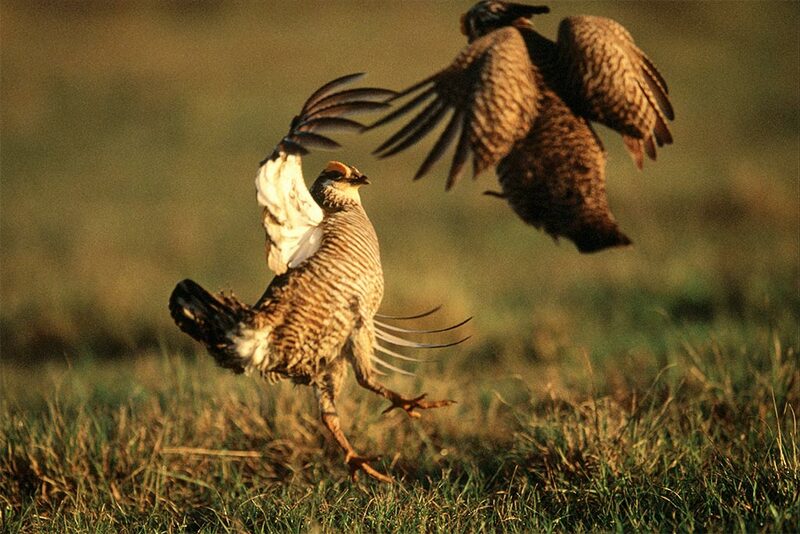 Sioux Indians developed a dance that mimics the gestures made by the male birds during their mating ritual. This courtship display called “booming” takes place on display grounds called leks, which may be naturally occurring short grass flats or artificially maintained areas such as roads, airport runways or oil well pads. Males gather on the leks in late January to attract the females by strutting and calling. Breeding begins in February, peaks in March and ends in May. 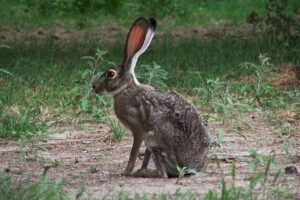 The male stretches his neck forward and parallel to the ground with neck tufts pointing forward like horns. The tail is held vertically and the wings are extended downward and held firmly against the body and legs. A short run forward is followed by vigorous stamping of the feet, which lasts for only a few moments, but under favorable conditions is distinctly audible for 50 feet or more. Inflation of the yellow air sacs (actually 1 sac with 2 lateral portions) is synchronized with the stamping. The first syllable of the booming is given before the stamping ends. The male quickly jerks his head downward as he begins the call and keeps it there until the sac is deflated. In a perfect world, the females would be watching and would have many males to choose from instead of the genetically correct computerized blind date she is assigned in the captive situation. After the courtship period ends, the male loses his bright coloring and acquires the camouflage colors of the female until the next mating season. While the males continue their courtship performances, the females select the nest site, lay, incubate and hatch their eggs before rearing the young chicks alone. 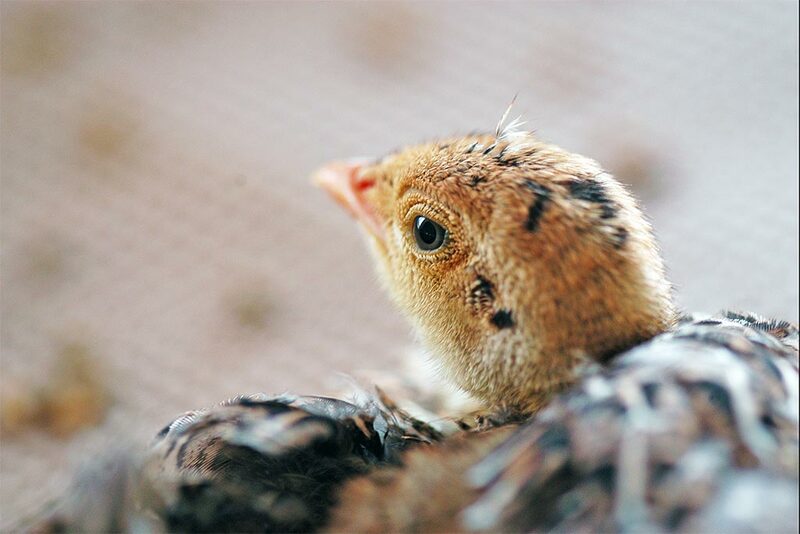 Chicks leave the nest and follow the hen around shortly after hatching, never to return to the nest. 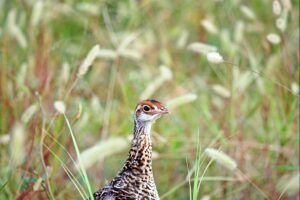 The hen does not feed the chicks, but takes them to safe feeding areas where they can find insects and soft, tender petals and grass shoots. The hen also provides them a mobile, warm and dry place in which to seek shelter. 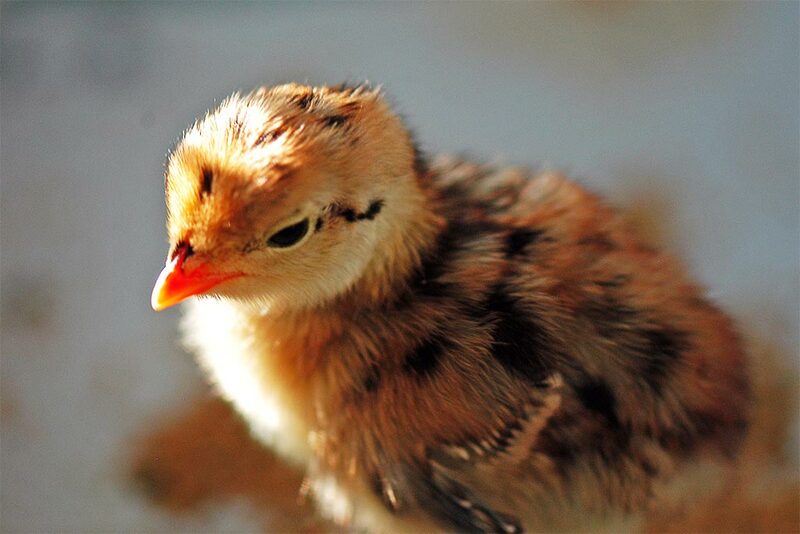 The chicks are able to fly short distances by the age of 10 days. Chicks stay with the hen for 4-6 weeks.